So I work for a printing company and we have a massive supply of pallets I’m new to wood working and am planning to build my boys a book shelf for there room I have been taking the hardwood pallets that are heat treated and pulling the nails and hand planing them down somewhat flat for a nice finished look. 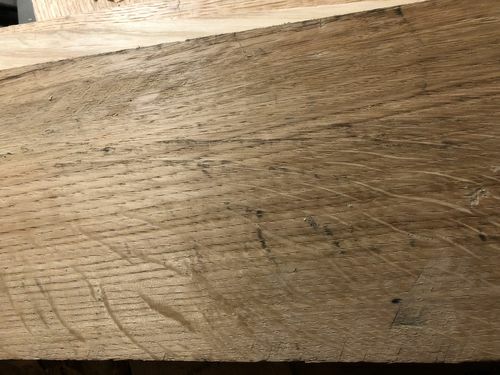 I’m not sure what type of wood some of this is, I can tell when I have oak for sure cause it’s got that unquie grain pattern I actually think I have white and red oak but maybe some maple ? And one runner on this one pallet is reddish in color but soft and easy to plane so I was thinking maybe cherry? I’ll take some pictures tonight. 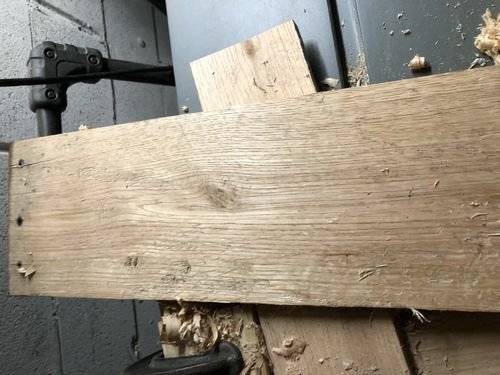 I’m in the market for a 6” jointer for these pallets as we have a 14” great neck plane and just bought a older bailey Stanley no.4 and it takes awhile to do one board as I’m trying to speed up the process. That joke is so old it has dementia. It has been confusing to some people who aren’t in on the joke. I just want to advise the OP to ignore the previous two responses. Do you have a picture? You can tell if its red or white oak by looking at the end grain. Yeah I’ll take some pictures of what I have when I get home from work. I would like to make a small junk basket style thing with some of the oak and use my porter cable dovetail jig to do some through dovetails. Like I said I’m new to wood working it all started when I got a free old craftsman 1hp router and picked up a cheap craftsman 12” dovetail jig. Then came the desalt dwe7491rs table saw, upgraded Freud blade and bunch of other wood working tools. 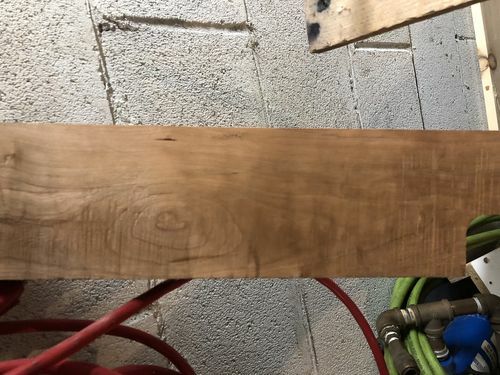 I really can’t justify spending the money on nice lumber till I really get it dialed in, as it’s not like welding we’re I can chop it off and grind it out. It’s been mentioned here many times. Pallet wood is not always good for us to use not only is it low grade wood its often dirty and sometimes treated with insecticides. Why make your hobby harder and risk poisening yourself with foul dust. It s been mentioned here many times. Pallet wood is not always good for us to use not only is it low grade wood it often dirty and sometimes treated with insecticides. Why make your hobby harder and risk poisening yourself with foul dust. How To Tell If A Wood Pallet Is Safe For Reuse? 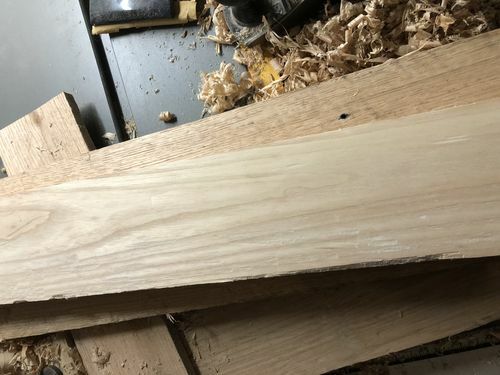 I have trouble thinking the palettes are Alder, which is relatively soft, not particularly strong, and not particularly red in color, most milled in the Pacific Northwest….we have lots of it in Oregon. One clue could be where the palettes are being shipped from because they are usually made from the least expensive local wood. So if it Asia they are probably a low grade asian hard wood (I use to get Japanese motorcycle shipping crates that were low grade mahogany). Pictures will help, show both flat grain and end grain. Finally I find it is not the expense of the wood I use but my “precious” time in building the project that I value the most. Inexpensive wood does not make a good project better. Based on the pictures, I can’t say he is wrong. In spite of the impracticality of using pallet wood for anything serious, it is just intriguing to me to take something that is worthless and make something desirable with it. It is like the appeal of panning for gold on our farm. If you work hard at it all day, you can find a substantial number of flecks – maybe $5 worth. It isn’t the absolute value that is appealing. It is the challenge. At least that is what appeals to me.